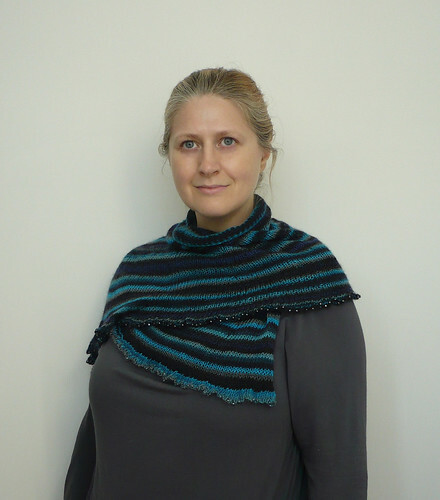 I have finished test knitting my friend's shawl pattern and it is now available to download (for free!!!) on Ravelry. The pattern is the Rainbow Ruffle Shawl, and it turned out beautifully. I blogged about the yarn and beads here, a little while ago. It's a really simple and elegant design and I really love how the beads give a subtle gleam on the border. Doing a beaded cast on was pretty simple, using the crochet hook method, but it was VERY time consuming. The shawl is a bottom up construction, which means a lot of beads to cast on at the beginning and then after the ruffle is completed it gets much faster to knit. It was well worth the time spent though. 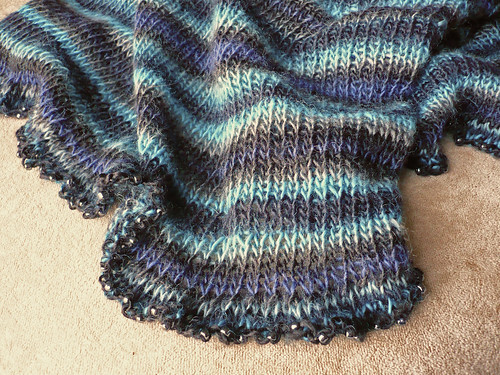 Litlemouse has also recently released another shawl pattern. It wasn't test knitted by me, but I am currently knitting a shawl from it because it is GORGEOUS! That pattern is called the Cadbury Ruffle Shawl, and I'll share photos of that when I get decent light for photography! Until I get better light, why don't you go and have a look at what other people have finished off, by clicking on the buttons.